Located between the Mont Ventoux a.k.a. 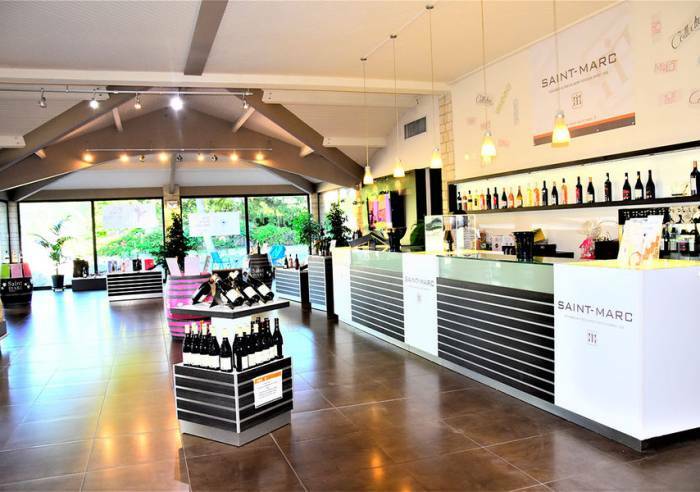 the "Giant of Provence" and the Dentelles de Montmirail, this wine store is open all year round for tastings and tours. Its stylish contemporary interior includes a VIP room. The expertise of Vignobles Saint-Marc’s 300 winegrowers is the cornerstone of the label’s success. Their pioneering work in sustainable viticulture within the Ventoux appellation produces top-quality grapes – the essence of our precious nectar.